Dr. Benjamin Peng has attending priveledges at NY Presbyterian Lower Manhattan Hospital, Weill Cornell Medical Center and he is clinical assistant professor of urology at NYU Medical Center. He received his MD and residency training at Columbia University. He is a board-certified urologist, who has practiced in lower Manhattan for the past 25 years. Dr. Peng offers quality care for patients with renal, bladder and prostate diseases as well as infertility, ED and urinary stones. Since 1999 Dr. Peng has been annually selected by Castle Connolly’s Top Doctors: New York Metro Area. Since 1995 Dr. Peng’s volunteer community services include being secretary and on the QA, utilization review and contract negotiation committees of the 600-physician Chinese American IPA. He is a Patients’ Choice and Compassionate Doctor Award recipient based on reviews from vitals.com. 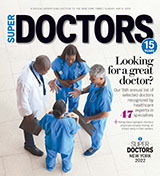 Top Doctors-New York Metro Area. Since 1995 Secretary of 500 physician Chinese IPA and also on contract negotiation, utilization and quality assurance committees.